architectural-scale tiled display wall with control kiosk, facility design, integration and system and exhibition programming. 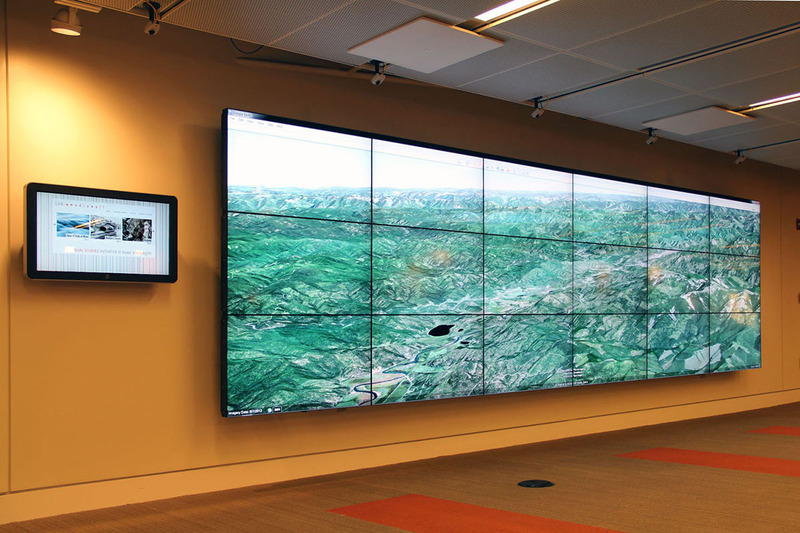 The LINK MediaWall is a 18-panel tiled wall display, designed and installed in the lobby of the innovative Link Teaching and Learning Center, located at the main Duke University Library. It is equipped with a series of directional speakers and network cameras, and is driven by a powerful, multi-core graphics server. The tile array can output a total potential field of 18.8 megapixels. The main server is augmented by separate database and image processing servers. 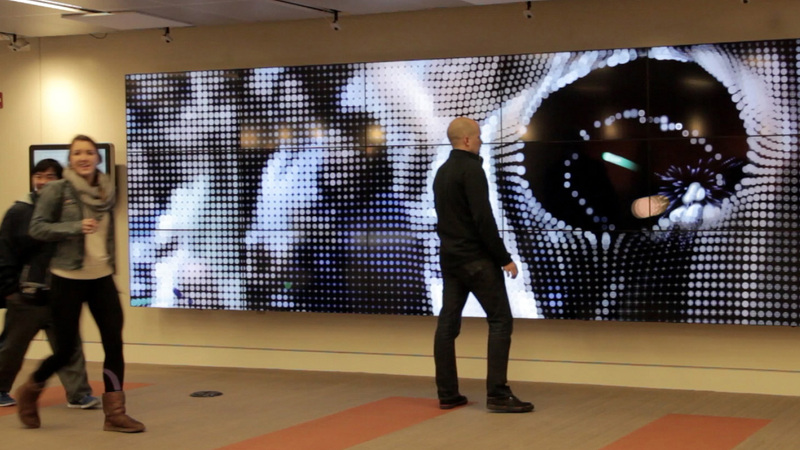 The system is designed to be easy to manage, yet flexible enough to allow a wide variety of content — it primarily displays large-scale interactive installation and data visualizations. The types of projects hosted at the Mediawall primarily relate to teaching, learning or research at Duke, or are artistic, experimental or educational in nature. The facility was developed to provide a dynamic and innovation venue for showcasing new media and computational work occurring across campus, at a highly visible crossroads at the center of the university. 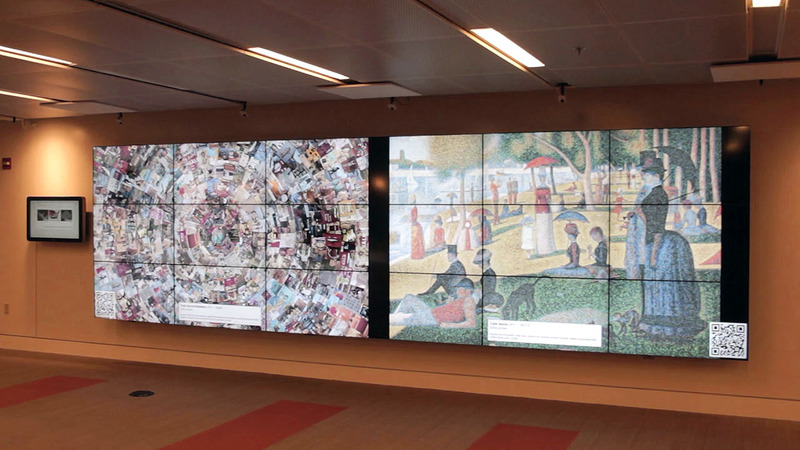 When it was initially built by the Visualization Technology Group in 2008, the LINK Mediawall was one of the first public-facing large scale tiled wall displays in the country, featuring new media and interactive content from the arts, sciences and humanities.